Election day is quickly approaching and although our constitutional court battle for ballot access rages on, it is unlikely to be resolved by election day. However…. YOU CAN STILL WRITE IN YOUR GREEN CANDIDATES! We encourage you all to get to the polls and make your voice heard! We encourage every Montanan to vote Green – we have endorsed these candidates. Please write in their names if they are not printed on your ballot. Richard Winger’s Ballot Access News does a good job summarizing the constitutional issues with Montana’s requirements for new parties. The U.S. Supreme Court ruled in 1969 that distribution requirements for statewide petitions that are not equal, violate “one person, one vote.” Other states with distribution requirements for statewide petitions require an equal number of signatures, or an equal percentage of the total vote cast: Michigan, Nebraska, New Hampshire, New York, North Carolina, Ohio, Pennsylvania (primary petitions only), and Virginia. Each voter in a Montana district that only requires 55 signatures has more power than a voter who lives in a district with a requirement for 150 signatures. The 2018 Green Party petition would have had enough valid signatures if it had not been for a recent state court ruling that it didn’t meet the distribution requirement. Montana did not have a distribution requirement for new parties until 1981, and it has never had one for independent candidates. As to the March 15 deadline, other states with deadlines that early, or even later, for new party petitions (or new party candidate petitions), have been struck down in Alabama, Alaska, Arkansas, California (for presidential elections), Idaho, Indiana, Kentucky, Maryland, Massachusetts, Nebraska, Nevada, New Jersey, New Mexico, Ohio, Pennsylvania, South Dakota, Tennessee, and Utah (for special elections). If the state argues that the early deadline is needed to give the new party its own primary, the response is that states don’t need to give newly-qualifying parties their own primary. 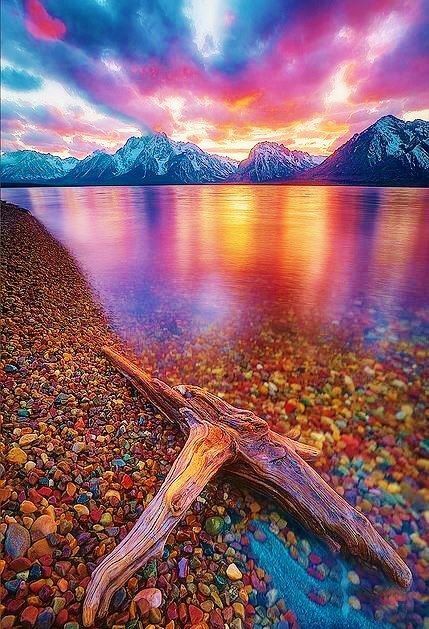 The case against early deadlines is especially in strong in states with severe winter weather, such as Montana. (Helena, Mt) On Monday the Montana Green Party (MGP), and 8 of its supporters, filed suit in Federal District Court. The case, which names the Montana Secretary of State, Corey Stapleton, as the defendant, asks the court to grant an immediate and permanent injunction on the enforcement of MCA, § 13-10-601(2)(a), (b), (c), and (d), as these statutes impose an unconstitutional burden on the MGP and its supporters by violating the first and fourteenth amendments to the United States Constitution. The law in question has the most restrictive distribution requirements in the nation. It requires a third-party to submit, by March 15, at least 5,000 valid signatures, including 55 to 150 from at least 34 of the state’s House legislative districts. The suit comes in response to the recent decision in a case that was filed by the Montana Democratic Party (MDP) in April. In the ruling issued by district court Judge Mike Reynolds the MGP was ordered removed from the general election ballot this fall due to technical irregularities surrounding a handful of the more than 7,300 signatures verified by local election officials. In the suit Democrats argued on technical grounds that some of those who signed printed their names instead of using cursive, used abbreviations and initials, wrote illegibly, used only a first or last name, or spelled their names differently. It was a beautiful spring day in Bozeman as old friends and some new ones came together to renew our commitment to working for the values we hold in common. There was a lot to discuss and our state coordinator Dani caught us up on the details of the court case. There is consensus among all of us that we continue to fight for ballot access so that all Montanans can have the option to vote for candidates who are not beholden to corporate donors. We endorsed the following candidates: Steve Kelly of Bozeman for US Senate, Doug Campbell for US Congress, and Adrien Owen Wagner for Montana HD15. It is our consensus that these candidates represent our key values and are best qualified to serve the people of our country. We spent a good deal of time discussing our plans for the next year including our push for Instant Runoff Voting (IRV.) Greg Schneider gave an informative presentation and we discussed our 3-pronged plan for advancing this tool which we are convinced will improve the health of our democracy in Montana. Currently the voters have very little ability to affect the outcome of elections and many feel their votes are wasted. IRV is a game changer. Come join your friends, neighbors, and candidates as to discuss the state of the Montana Green Party and plan for its future!! Lunch will be served and children’s activities will take place throughout the day. Carpool whenever possible. Come meet your fellow Montana Greens as we begin our day with an informal discussion over coffee and doughnuts! Taking action: Brainstorming projects for the party! What other organizations can we partner with to accomplish these goals? Greens want to reduce the economic and political power of large corporations, end corporate personhood and re-design corporations to serve our society, democracy and the environment. Unelected and unaccountable corporate executives are not merely exercising power in our society — they are ruling us. Greens will reduce corporate powers and privileges, including by stripping them of artificial “personhood” and constitutional protections. The Green Party supports strong and effectively enforced antitrust laws and regulation to counteract the concentration of economic and political power that imposes a severe toll on people, places and the planet. Greens believe the legal structure of the corporation is obsolete. At present, corporations are designed solely to generate profit. This legal imperative — profit above all else — is damaging our country and our planet in countless ways. We must change the legal design of corporations so that they generate profits, but not at the expense of the environment, human rights, public health, workers, or the communities in which the corporation operates. One point remains unequivocal: our planet cannot afford business as usual any longer. Because corporations have become the dominant economic institution of the planet, we must compel them to serve human and environmental needs, so that our peoples, nations and environment may live long and prosper. End corporate personhood. A key first step will be federal and state constitutional amendments abolishing the legal fiction of corporate personhood. Federal chartering of corporations that includes comprehensive, strict and enforceable social responsibility requirements. Strengthen the civil justice system to ensure that it holds corporations strictly liable for corporate crime, fraud, violence and malfeasance. This would include revoking the charters of corporations that routinely violate safety, health, environmental protection or other laws. Empower shareholders to stop abuses by the managers they hire through a structure of democratic governance and elections. Enforce existing antitrust laws and support even tougher new ones to curtail the overwhelming economic and political power of large corporations. Increase funding for and strengthen oversight of federal antitrust enforcement. WE NEED YOUR HELP! PLEASE DONATE TO OUR LEGAL FUND! 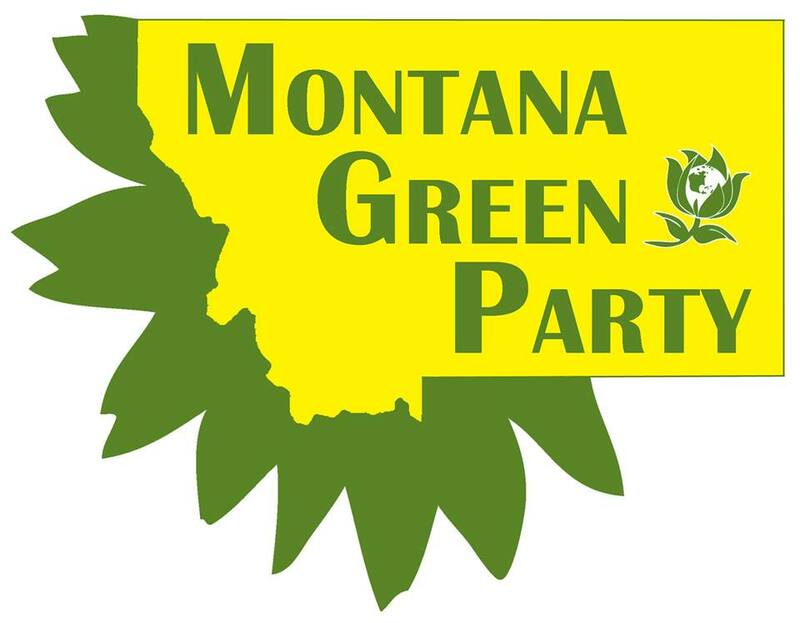 The Montana Green Party is facing a legal challenge to our ballot access! We are incredibly saddened that the Democratic Party is working so hard to silence progressive voices in Montana and we pledge to continue to fight for your right to vote for candidates that represent you! The DNC has brought in Perkins & Coie, the same high powered international law firm that they used to defend HRC and the DNC against Bernie supporters after the 2016 Democratic National Convention! Standing up to these bullies is not going to easy and we need financial support! EVERY LITTLE BIT HELPS! Together we can stand up to these bullies and defend the civil right of all Montanan’s! (HELENA, MT) The hearing to determine if the Montana Democratic Party’s attempt to remove the Montana Green Party from the ballot will take place in Helena District Court on Tuesday April 24th at 1:30pm. The Montana Green Party is encouraging supporters from across the state to attend this hearing in order to defend petition signers’ rights and voting rights in general. If they are unable to attend the hearing in person they are requesting that the fill out the attached form declaring the validity of their support. Montana Green Party Coordinator issued this statement “More than 10,000 Montana voters signed their names declaring their support for the Montana Green Party to be on the 2018 ballot. State and local elections officials did their due diligence in reviewing those signatures and determined that 7,386 signatures were valid and that the MTGP had qualified in total of 38 districts. This is far more the the 5000 signatures and 34 districts that the party needed. The efforts by the Democratic Party to disqualify the Green Party over 180 signatures that the Dems don’t think are good enough is not only petty, but also a direct attack on the rights of the Montana voters who signed this petition. For an organization that claims to represent the best interests of the people of Montana, the Democratic Party is working in overdrive in their undemocratic attempt to silence Montana’s Green voices. The Montana Democrats are likely running up a huge bill by sending in the out-of-state international legal behemoth, Perkins & Coie, to work alongside their local counsel the Meloy Law Firm. If the Democratic Party’s legal efforts are successful in snuffing out this Green Party ballot access, Montana taxpayers may be responsible for covering the out-of-state legal firm’s costs along with the state legal costs, making this effort even more abhorrent. Come join your friends, neighbors, and candidates as we discuss the state of your Montana Green Party and plan for its future!! Lunch will be served and children’s activities will take place throughout the day! Let’s carpool!